marginally higher at Rs 13,499 in comparison to the 2GB variant which was launched at price Rs 12,499.
. The Nokia 5 will go on sale from tomorrow, which is November 7. Matte Black and Tempered Blue. 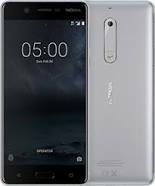 nokia 5 has a 5.20-inch touchscreen display with a resolution of 720 pixels by 1280 pixels.